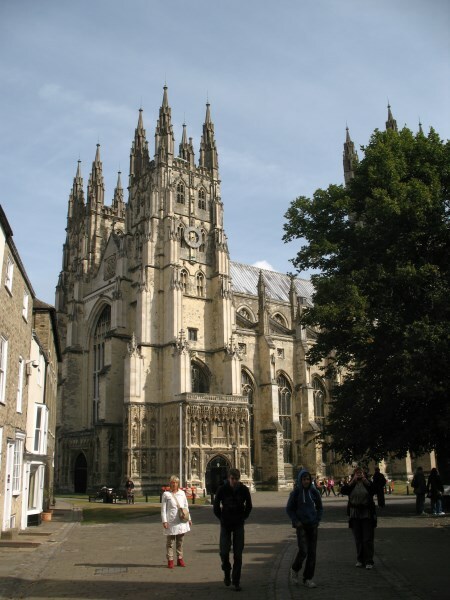 When you arrive in Canterbury, you will find the Cathedral in the middle of the city centre, behind a small entrance. It hides behind some buildings and you can only really view it when you pay the entrance fee. Which is something you really should do, because it is one of the most impressive cathedrals we have ever seen. Maarten visited the cathedral when he was younger, and he mostly remembers its perpendicular style. The whole cathedral is dominated by vertical lines. I loved the cathedral and the cosy town of Canterbury around it. 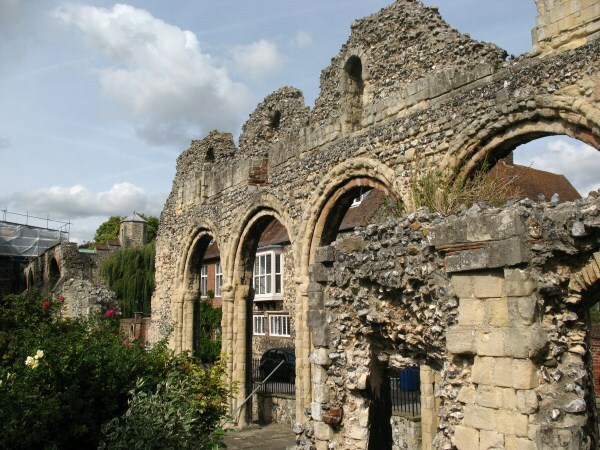 Both the interior and the outside of the building are impressive and I love the ruins of the old abbey next to it. 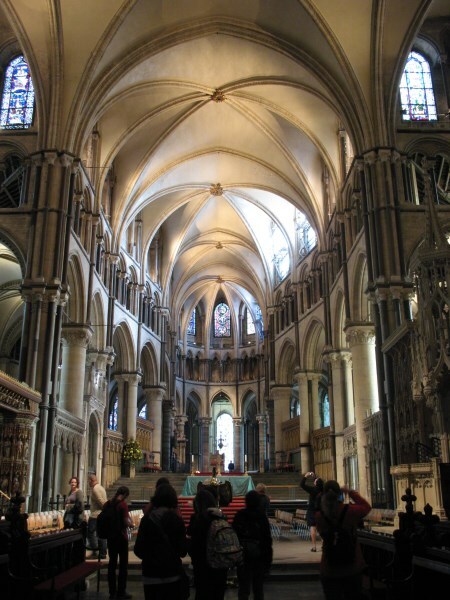 The winter before my visit I read Ken Follets ‘Pillars of the Earth’ and thus knew quite some things about the murder of Thomas Becket, which added an extra dimention to my visit. It’s a book I would recommend if you love reading and are planning to visit the cathedral somewhere in the near future. The impressive cathedral seen from the outside. Vertical lines on the outside. The remains of the old abbey. 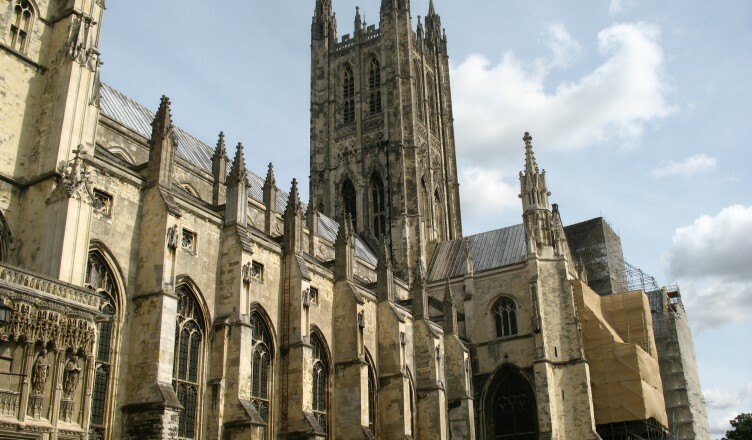 The Cathedral’s history goes back to 597 when St. Augustine, sent by Pope Gregory the Great as a missionary, established his seat (or ‘Cathedra’) in Canterbury. 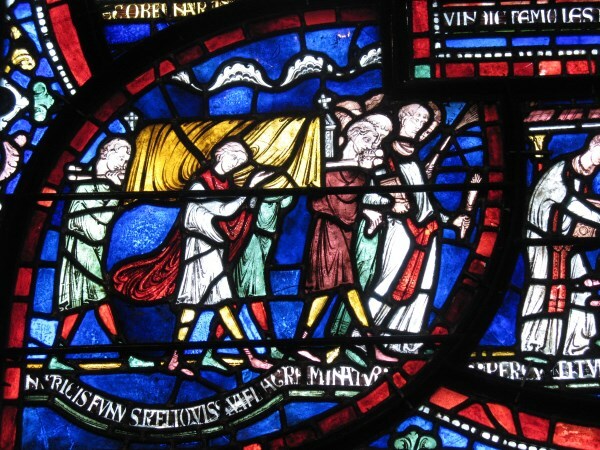 In 1170 Archbishop Thomas Becket was murdered in the Cathedral and ever since, the Cathedral has attracted thousands of pilgrims, as told famously in Geoffrey Chaucer’s Canterbury Tales.